Developed by 1337 & Senri LLC “Leo’s Fortune” follows a small furrball with luscious mustache and no more money, as he travels, collecting bits and pieces of his fortune, to finally find the one who stole it all from him. So please, take a seat, relax and just move your thumbs because it is just that simple, oh well your brain, make sure you have your brain with you. The game itself is a side-scrolling game going from left to right, naturally, but of course it’s never that simple. Wait, that just goes against everything I said earlier, oh well. 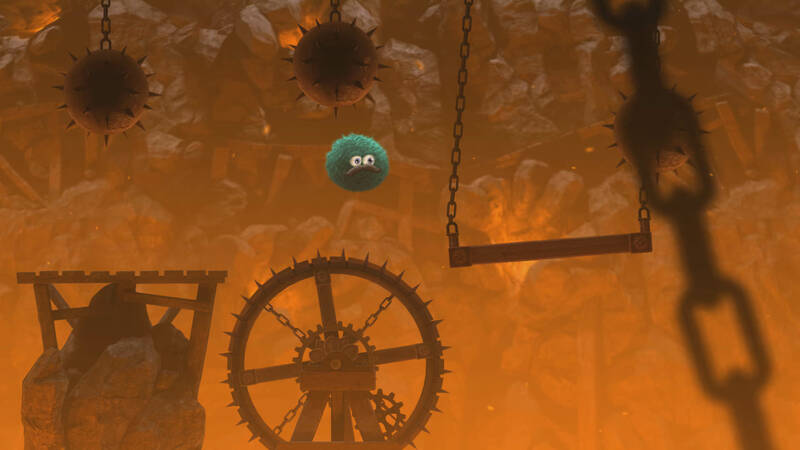 So the idea of “Leo’s Fortune” is to get from the start of the level to the end by solving puzzles and collecting coins and which are part of the fortune that Leo has lost. These coins are his only clues as to who it might be who has stolen his fortune, although he won’t be able to truly find out until he travels the various areas and finally catch the culprit. Every so often Leo gives you some feedback into his past life, his family members and who he thinks might have stolen his fortune and why, this adds depth into the game and helps the player because it isn’t just a boring side scrolling puzzle game now, you have a reason to play, you feel bad for the mustached ball of furr! The puzzles of course are not super hard, they all depend on how well the player takes it in and works with the hurdles placed in front of them. 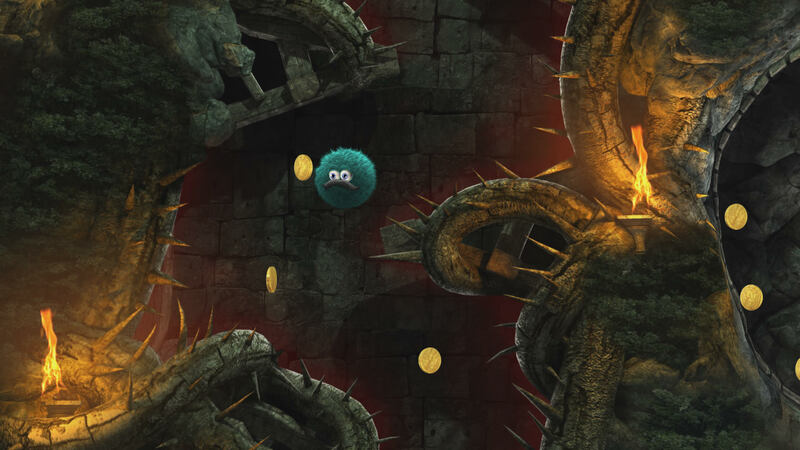 The use of Leo is actually great, as the furball has abilities that can help the player solve puzzles and progress through the game. Sometimes you need Leo is expand and float over hazards or bounce up and down to launch yourself into the air, but explaining it isn’t as great as actually experiencing it first hand. The game very much gives off the feeling of a mobile game, well that’s because it was originally released for mobile devices and later ported onto the Playstation 4. “Leo’s Fortune” is one of those games that you can truly enjoy when relaxing. Sure it has puzzles, but it isn’t anything that will hurt your brain. The music and Leo’s little comments here and there make the game very enjoyable as well. The game is one of those where you can get into a party chat with some buds have a good conversation and enjoy the game as well. Just remember while you’re enjoying the game, Leo is still on the hunt for the culprit, so give him a hand and help him get his fortune back!